One of the most popular trail runs in Chattanooga, and a favorite among the RootsRated staff, this scenic route is a perfect place to enjoy an afternoon run. 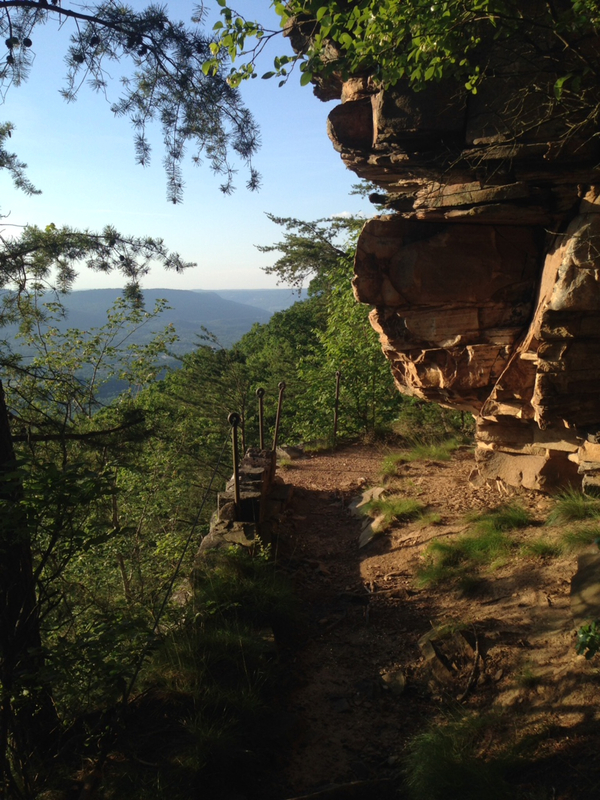 The trails on the west side of Lookout Mountain, especially the Bluff Trail, offer some of the best trail running and hiking in the southeast. Runners and hikers will enjoy fantastic views of the valley's rolling hills flanked by Sand and Raccoon Mountains. This route is best during late afternoon, when the lighting is at its most beautiful. The 10-mile Big Daddy Loop is composed of seven trails on Lookout Mountain, each offering convincing evidence that Chattanooga is a premier trail running city. Minutes from downtown, the trailhead is located at the Cravens House, an historic structure with fascinating ties to the Civil War. From Cravens, hop on the obvious trail behind the house and go about a hundred yards before coming to a junction. Bear right onto the Rifle Pits Trail, which will drop you onto the old railroad bed known as the Guild Trail. Take a left onto the Guild, go straight when the track doubles back at the massive switchback, then take the next right onto the Gum Springs trail. Descend until Gum Springs ends at the Skyuka Trail. Take a left and follow this secluded path for three miles to Skyuka Springs. This is a good place to stop for a moment and hydrate before you turn back uphill on the John Smartt Trail to begin your lung-busting, leg-burning climb to the Bluff Trail. Just two miles of trail takes you from the valley nearly all the way to the top of the mountain. The three miles of the Bluff Trail back towards the Cravens House is likely be your favorite section. This moderately rocky, technical single track puts majestic sandstone cliffs on one side and amazing views of the valley on the other. Be sure to look at the ground every once in a while because a fall could be serious with the bluff edge so close. 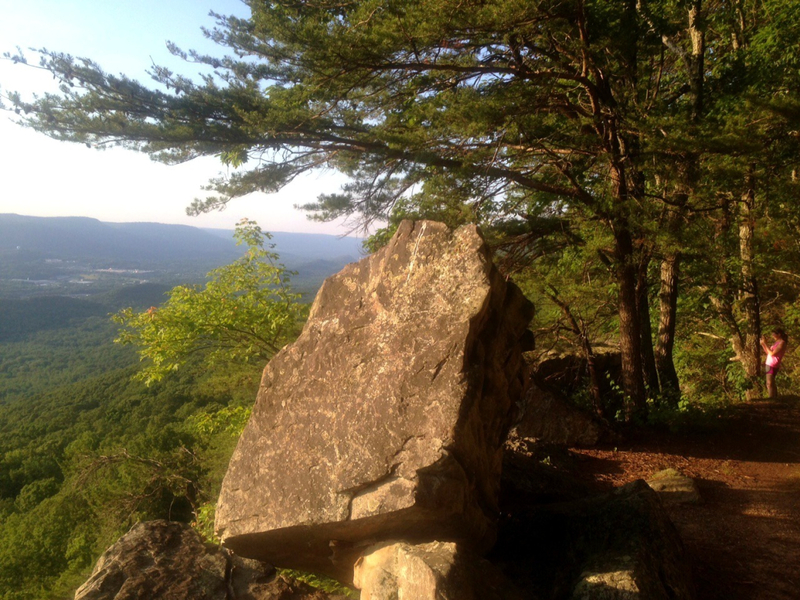 After passing Sunset Rock you'll veer onto the Cravens Trail for a fast, fun descent to your car. Well-conditioned trail runners will get their workout with more than enough scenery to keep them coming back. Serious hikers will enjoy the distance but others should probably choose a shorter route. The upper parking lot at the Cravens House is free, but Park Rangers may close the gate at dusk. Fortunately, there's overflow parking on the narrow road just below the Cravens House, which is not gated. Carry water and study the route in advance. There is a detailed map of Lookout Mountain trails courtesy of Wild Trails. Group runs are posted on Meetup.com under Chattanooga Trail Runners; Big Daddy is a popular evening and weekend run.